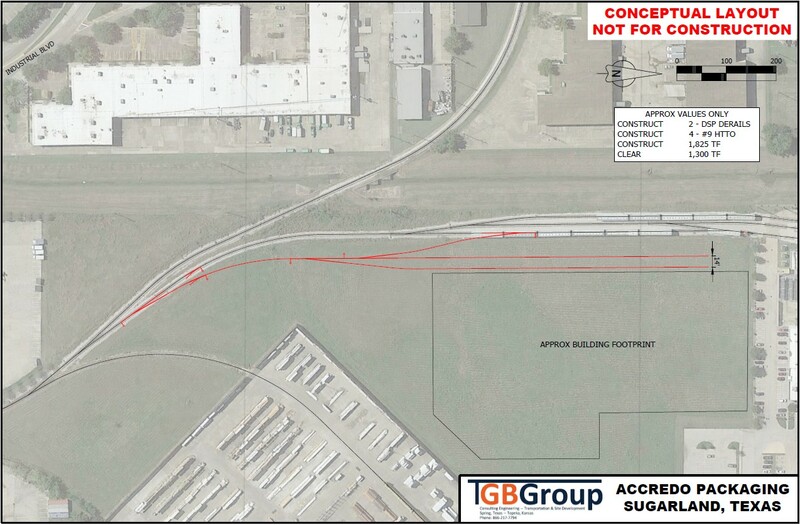 TGB Group is working alongside KDW (Kingham Dalton Wilson) of Houston and the Railworks office in Pasadena, Texas, to provide services to Accredo Packaging of Sugar Land, Texas, for the expansion of their current operations. This is the second building that KDW has designed and built for Accredo Packaging. For this expansion project, Accredo asked for a turnkey solution that includes rail access. KDW will be managing the design and construction of a new 200,000-square-foot building and parking lot, just south of Accredo’s existing 350,000-square-foot Sugar Land manufacturing facility. TGB Group is working with Railworks to provide survey, design and construction for the 1,825 feet of railroad track that will consist of two spurs, a crossover and accommodations for drainage. The drainage systems for the rail infrastructure will be seamlessly integrated with the building and parking lot drainage. With the completion of this expansion project, Accredo Packaging is expecting to bring 175 new jobs to the residents of Sugar Land and nearby areas. TGB is providing our broad construction and design expertise as we work hand in hand with Railworks and KDW to ensure the project is completed to the customer’s exact specifications.  TGB Group loves partnering with companies that make serious efforts to help their communities. In addition to being committed to bringing more jobs to Sugar Land, Accredo Packaging is focused strongly on sustainability practices, recycling for the good of the community, conservation programs, environmental improvements and personal health. TGB Group regularly works on projects that, like the Accredo expansion, will help improve the economic climate of all sizes of communities.